Kolibree is no stranger to making smart toothbrushes. The company has launched a variety of smart toothbrushes over the years, with accompanying apps that help your oral hygiene. 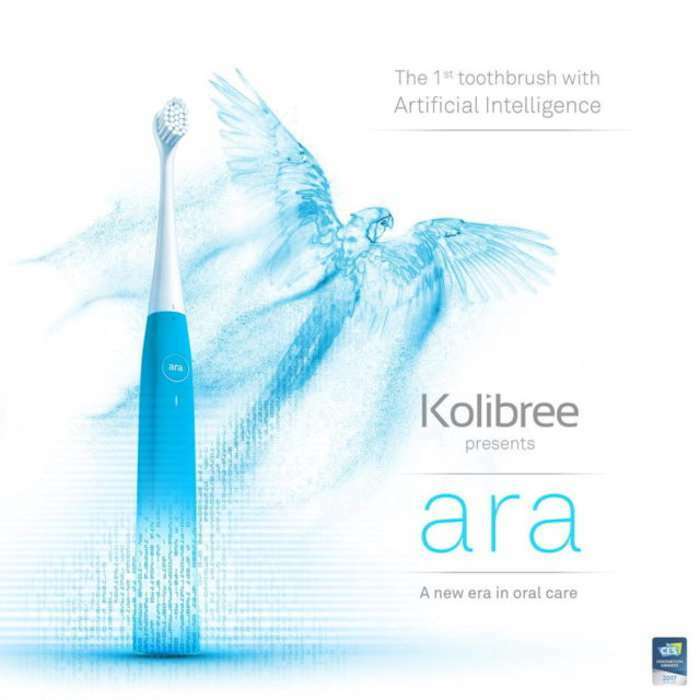 Well, now Kolibree is showing off their latest at CES 2017: the Kolibree Ara, the world’s first toothbrush that comes embedded with AI. This means that it is even smarter than their other toothbrushes. The inclusion of AI will make it smarter than ever before. This toothbrush actually has deep learning algorithms so it can learn your brushing habits. The more you use it, the smarter it gets. This should make teeth cleaning much better. It can detect what area in your mouth you are brushing, and collect information like frequency, durations, brushed areas, and more. It will work online and offline. Hopefully it will lead to stronger healthier teeth for the people who use it. One day a brush like this may even put dentists out of business. The Kolibree Ara has a 2-week battery life, so you’ll be able to use it everyday without having to worry about charging it all of the time. It also means that traveling with it should be easy for the same reason. The Ara is priced starting at $129.